The House of Representatives Tuesday tasked the Nigeria Police and the State Security Service (SSS) to probe the recent attack and killings of 24 people of Tungar Rakumi and Mallamawa villages in Zamfara state. The House in plenary also sought the intervention of the National Emergency Management Agency (NEMA) in providing relief materials to the surviving members of the communities. 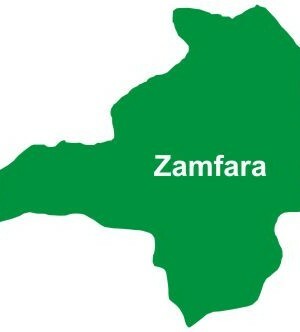 The Zamfara State Police Command had on Monday in Gusau confirmed the killing of 16 persons, including a policeman, by armed bandits in Maru local government area of Zamfara. Other reports however said 24 persons were killed. The state police command’s Public Relations Officer (PPRO), DSP Lawal Abdullahi, told the News Agency of Nigeria (NAN) that about 150 armed hoodlums riding on motorcycles perpetrated the act. He said the hoodlums had invaded the three villages of Tungar Rakumi, Mallamawa and Kangarawa on Saturday night, killing 12 persons in Tungar Rakumi alone, while the remaining four were killed in Mallamawa and Kangarawa. “The bandits, who are suspected to have carried out the attack to retaliate the killing of three suspected cattle rustlers by the community in Birnin Magaji local government area last week, were heavily armed with AK 47 rifles,” Abdullahi said.